Part of our faith journey involves learning more about the Bible and its teachings that we can apply to our daily lives. From sermons to Sunday School, we strive to make learning about God interesting, meaningful, and engaging. Whether you're just starting out and want to understand the fundamentals of Christianity, seeking to deepen your faith, or looking for a safe and fun place where your children can learn about God, we have something to offer. 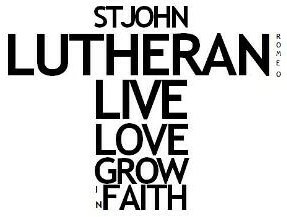 View the St. John Lutheran Church Educational Standards HERE.